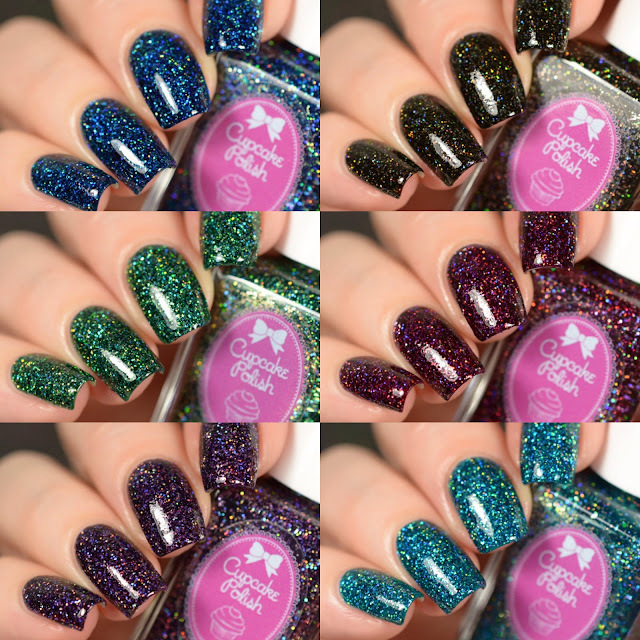 Cupcake Polish announces its newest collection themed after one of our favourite things to collect and study - gemstones! 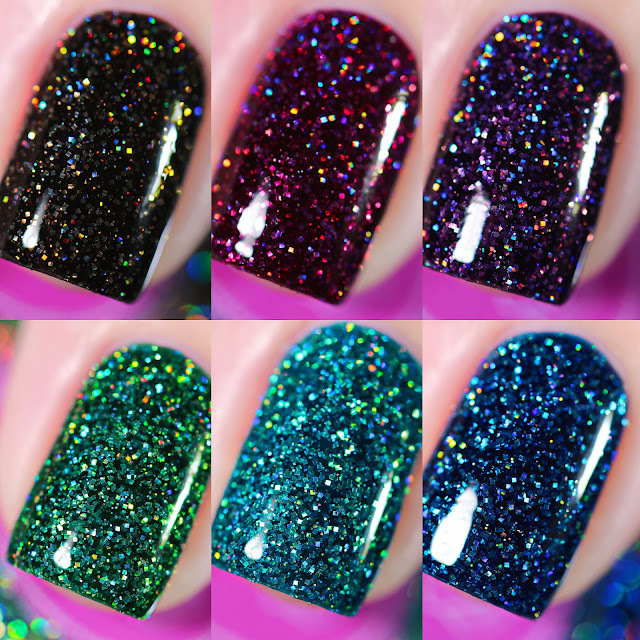 The Gemstone Collection by Cupcake Polish is a 6-piece collection of gorgeous full-coverage holographic glitter polishes. Every polish in this collection is packed with super sparkly holographic micro glitters. These vampy colors are super wearable and perfect for those long winter days when you just need a bit of sparkle! Each polish is carefully handcrafted to resemble some of our favourite gemstones - Emerald, Amethyst, Garnet, Onyx, Blue Tourmaline and Sapphire. All polishes in the gemstone collection are opaque in 2-3 coats. Cupcake Polishes are handmade, long-wearing, full coverage and 5-free. Polishes are $13 each and will be available at www.cupcakepolish.com. This collection launches on February 5th at 8pm CST.